This crazy camel racing game is soon to be released in the U.S. by Z-Man Games. Things can really get bonkers as the camels can stack up on top of each other and entire pyramids turn upside during the race to the finish line. In Camel Up, 2 to 8 players bet on 5 racing camels, trying to guess which one will win the race around the pyramid. There's potential to win more by placing your bet early and on the right camel. The movement of the camels depends on how the dice come out of the pyramid dice shaker, which releases one die at a time. In this race it's not just being lucky at beating the odds. Reading the dynamics of the race and having a good sense of timing can be key to backing the right camels and taking the victory. Prepare for a camel race like none other. Released by AEG, Istanbul wins in the meatier strategy game category. 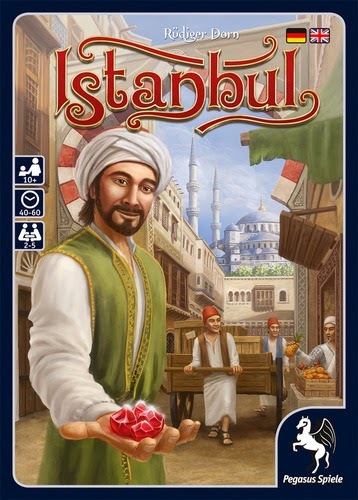 We have a demo copy of Istanbul available that you can come in and play. 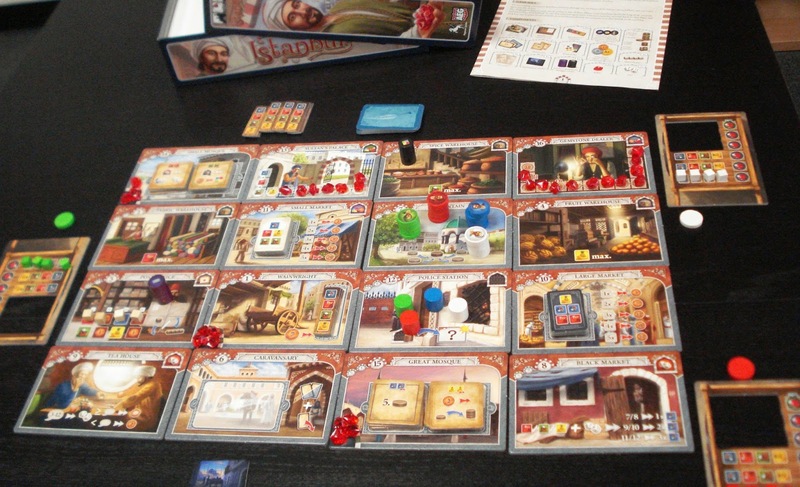 In Istanbul players will each have a team of one merchant and 4 assistants, plus a family member, and a wheelbarrow. They will take their merchant/assistants team through the various places within the bazaar with the goal of collecting the necessary rubies to win the game. Each place within the bazaar has as a specific action that will be performed when a merchant and his assistants stop at it. However, in order to perform the action the merchant must leave behind one assistant. To use that assistant again, the merchant must return to that location to retrieve the assistant. Players must plan carefully so as not to end up with no assistants thereby not able to do anything. Your family member may also visit places within the bazaar performing the action of that place. But beware, other player's merchant may catch your family member and send him to the Police Station and score a bonus card for the catch. Rubies can be obtained from several methods that include: increasing one's wheelbarrow capacity, acquiring mosque tiles, delivering goods to the Sultan, and buying from the gemstone dealer. 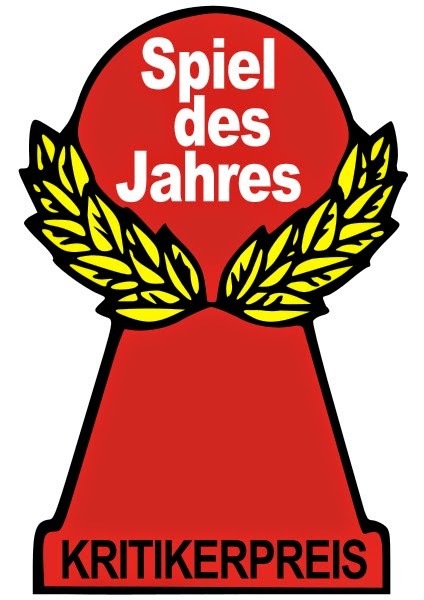 Read Tom Felber's (chair of the Spiel des Jahres committee) commentary for a perspective on how the games were chosen. Click here on Commentary for the link to his commentary in it's entirity. 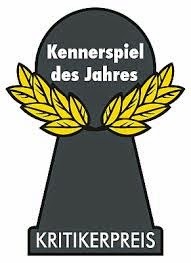 ....Within the games nominated for the “Spiel des Jahres” prize, themes include betting on camel races, collecting precious stones in jewellers’ workshops and guessing concepts in the world of pictograms. On their shortlists, the jury has this year once again attempted to show the entire breadth of experiences made possible by games, so that there is something for each person’s taste and interest and for each group and age. 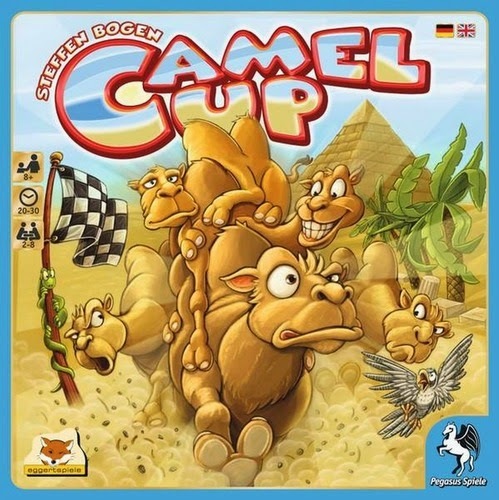 “Concept”, “Camel Up”, and “Blood Bound” are three games which can be played by considerably larger groups than normally meet around a living room table. And “Love Letter”, “Guildhall” or “Potato Man” come in small boxes but create enormous gaming experiences. ....But why didn’t many other games make it onto the list? It can’t be avoided that good games are missing from the recommendation list. Over the course of lengthy meetings, the jury has had to turn down a great number of very promising titles, often with a heavy heart. For one, the competition is very fierce and the jury wanted to keep the lists clear and simple. For another, the jury was more consistent than in previous years at eliminating games with insufficient rules and a serious lack of materials.